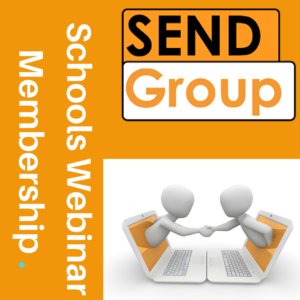 The SEND Group is delighted to introduce its webinar membership to schools. The cost-effective way of supporting all your teachers continuing CPD in the areas of special educational needs and disability. This service is an online based which allows your teachers, TA’s and other members of your team to access past and up-and-coming webinars which they may feel be beneficial for their own personal CPD. Watching it in their own time and at their own pace is important for people to feel empowered when it comes to CPD. This cost-effective solution allows multiple teachers to have access to areas that are not just related to the SENCO or the Senior Management Team. Starting from £199 with access to over 40 past and over 20 planned webinars for the next two terms. Each school will also receive an incentive pack which gives some useful information about products and services you can use to support all of your students with SEND and literacy difficulties. Numbers, Figures, Symbols and Much More.